"I hear, and I forget. I see, and I learn. I do, and I understand." The only book you'll need to understand and administer to your Boxer charging needs. No Airhead owner should be without this classic! 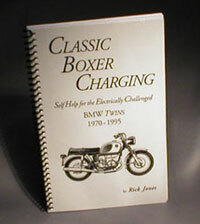 Classic Boxer Charging includes color graphics, explicit photos, and charging system wiring diagrams for every Airhead Boxer model 1970- 1995 (in color!). Keep your Boxer thump, thump, thumping along! Recently updated with all the latest wisdom. Plugs in to a SAE flat connector(not included,sold separately)and press the button. 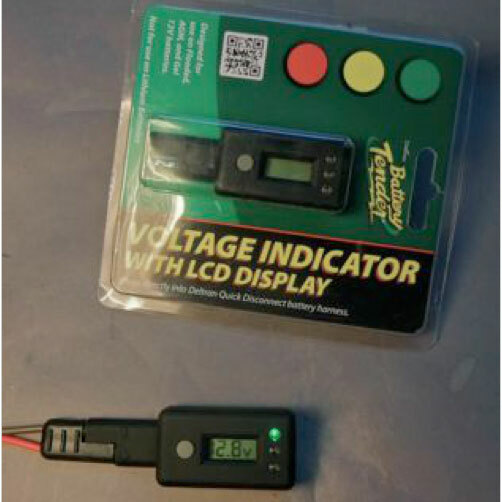 You'll get the voltage readout in the window, as well as a colored status indicator:red,yellow or green.After several seconds the indicators self-extinguish. 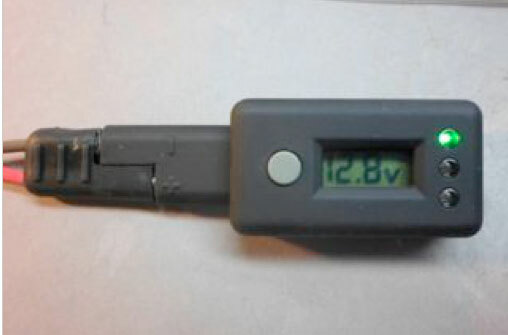 Built-in low voltage indicator causes the red LED to flash continually. Fused leads connect directly to battery and provide easy connectivity for chargers and accessories. Proper protection for all electrical terminals and connections. 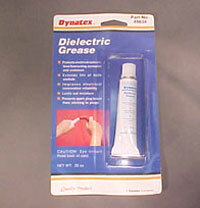 Prevents corrosion and oxidation. Critical for preventing damage to ingnition control units on Boxers. A near lifetime supply in one small tube. Hardened steel replica of factory tool. Essential for removal and replacement of rotor. Hey, you never know when you're going to roll up on one of America's iron horses or brand X bikes with a dead battery. 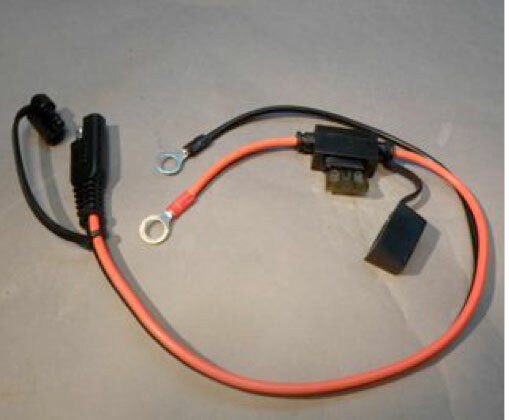 Be a hero...this set is small enough to carry under your seat or tail cowling, made specifically for motorcycles. 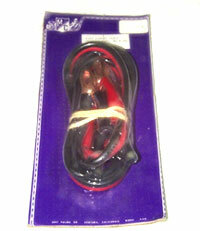 These are REAL jumper cables, not tangle prone cheapos...don't get caught with a substitute, get the real deal. Power is applied at the correct peak charge, then the battery is automatically maintained at the perfect float voltage which virtually eliminates destructive sulfation. 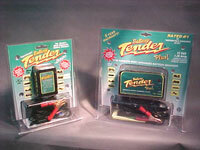 The Junior is also available in 6 volts, for the oldies - and Gel Batteries. R10-1215B Black RelflectGard Bulk 12" x 15" $21.00 R10-1215W White RelflectGard Bulk 12" x 15" $21.00 R1001 ReflectGard - All Rear Splash Guards $20.00 R1002 ReflectGard - System Case (All Configurations) $38.00 R1003 ReflectGard - Touring Case (All Configurations) $28.00 R1004 ReflectGard - Jessee Case / Touratech $28.00 R1005 ReflectGard - Integral Case (new style) revised $30.00 R1006 ReflectGard - Integral Case (old style) $28.00 R1007 ReflectGard - Krauser Case $24.00 R1008 ReflectGard - 33 Liter Top Case $28.00 R1009 ReflectGard - 35 Liter KLT Top Case $28.00 R1010 ReflectGard - KLT Case $27.00 R1011 ReflectGard - F650 City Case $30.00 R1012 ReflectGard - R1200C Cruiser Case $30.00 R1013 ReflectGard - Motoman Black (1 pair) $4.00 R1014 ReflectGard - Motoman White (1 pair) $4.00 R1015 ReflectGard - K1200LT Top Case & Side Bumpers $34.00 R1016 ReflectGard - 20 Liter Top Case (shoebox style) $27.00 R1017 ReflectGard - F650 Top Case (humpback style) $24.00 R1018 ReflectGard - City System Case $28.00 R1019 ReflectGard - Helmet Visibility Black $22.00 R1020 ReflectGard - Helmet Visibility White $22.00 R1021 ReflectGard - F650 Expandalbe Case $26.00 R0122 ReflectGard - Extra Large System Case Lid $36.00 R1013 ReflectGard - R1200C Touring Bags Call! Extra visibility with no electrical penalty! These pre-cut kits apply 3M Scotchbrite reflective film to the back surfaces or side contours of your saddlebags or top trunk. Black material is invisible by day and turns brillaint white when light hits it at night. 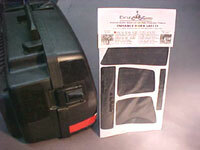 The kits are available for every type saddlebag and top trunk sold by BMW from F650 top cases to Cruiser bags too. Even Krauser is covered. One of the best safety enhancements available - be seen, not hurt.